X-T100 Mirrorless Digital Camera (Body Only, Champagne Gold) is rated 4.6 out of 5 by 13. 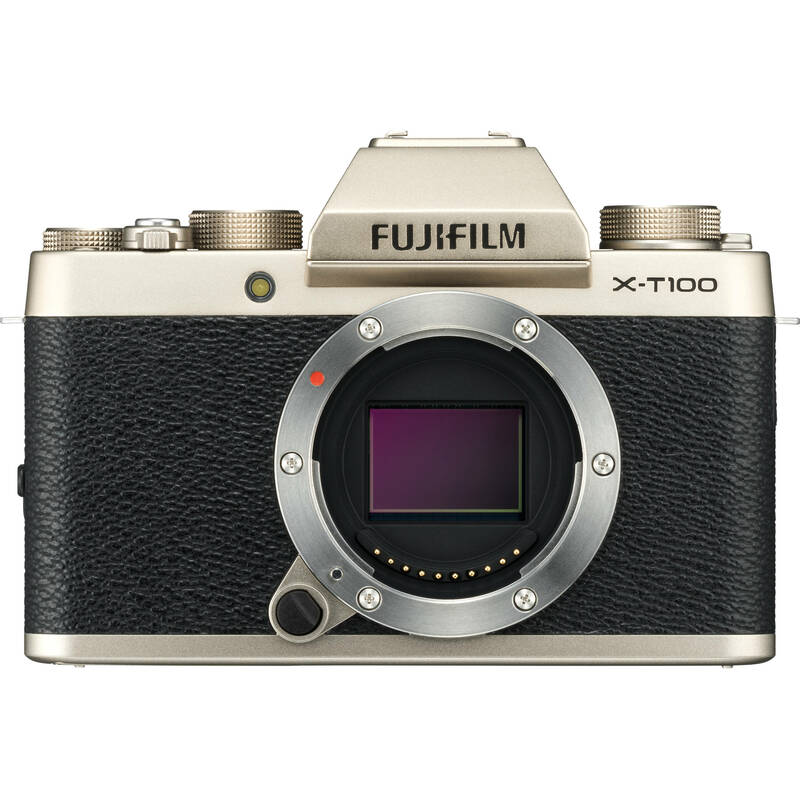 The film simulations will be similar to the X-T20 and allow you to utilize them while doing both still photos and video. According to our records, our current stock on this camera is made in Indonesia. Please note that this is subject to change at any time. I assume I can use my X-mount lenses? for example my 10-24,35 F/2 and 55-200? Absolutely. Same mount as the entire X series lineup. Is the lens fixed on the camera or is it interchangeable? Interchangeable with with any X-Mount lens. Will the xt100 shoot pics as sharp as the xt2 with the same lens? Resolution is exactly the same, if that's what you consider sharpness. And straight from camera jpegs would look exactly the same. Where you might see difference is with RAW (raf) files because the 2 cameras use a different kind of RGB pattern, and therefore will be processed slightly different in raw conversion software. But you'd have to look really deep to notice significant differences. This camera operates much much slower than the T2, worse EVF, and is not as durable, nor weather sealed. Yes it's almost $1k less, but those are factors. Also the T2 just got a huge major FW update today that adds a ton of new features and competencies. The camera including the battery &amp; charge?